Home Plan would love to make your house your home! Whether it requires renovation, remodeling, or designing of your home, Home Plan will help you. At Intrigue Builders in Edmonton, AB, we want to be the general contractor service you will need for all of your commercial and residential building or remodelling projects. Whether you're looking to build a home, remodel your basement, renovate your entire home, or build your new office space, we can be there to help you get the job done. We’ve been in business since 2008, and our well-trained staff is dedicated to providing you with the high-quality work you deserve at affordable prices. We strive to offer our customers custom designs to suit their tastes while also providing prompt project completion to get the job done on your schedule. If you’re not sure how to get started or follow through with your home or business building project, we offer project planning assistance to get you on the right path. Intrigue Builders is a locally owned and operated company serving Edmonton and the surrounding areas. We're committed to providing our customers with general contractor services that allow them to customize their designs to suit their working and living style. Call us today to schedule your appointment. Carmax Consulting Inc. is an award winning Construction Management company located in Edmonton and serving Northern Alberta. 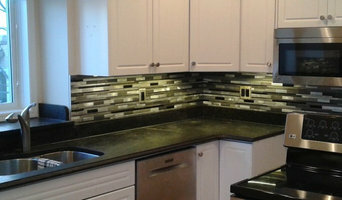 We specialize in both Residential and Commercial renovations and improvements. •Take the worry out of building your own home or project. •Hire your own project manager. •Save the high markups: •Build your home the way you want. •Build with confidence. •Build at cost. With over 25 years' experience in the construction industry, D-Trac Construction Inc. is a full-service general contracting firm that specializes in both residential and interior commercial renovations. Our services include but are not limited to interior design, engineering, bathroom renovations, kitchen renovations, basement development/renovations, decks, interior commercial office renovations and improvements. D-Trac Construction Inc. is an Alberta licensed prepaid contractor, accredited with the Better Business Bureau, bonded, insured and holds current WCB coverage. 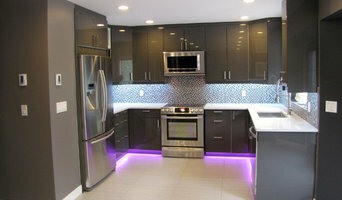 Retrofit Design is a General contracting / Interior design company founded in 2004 by Industrial designer Randy McCoy, B.A. University of Alberta 1992, former partner at Pure Design ltd. (1994 – 2004). The combination of twenty years in the field, and a design background have given me a unique skill set with which to provide a balance of beauty, and practical building. I know what you’re thinking, isn’t Retrofit an interior design company? Yes, this is a service we provide, but first and foremost we are a general contracting and project management company. We welcome the opportunity to work with other designers! When the boss doesn’t have to sit down and design everything, we can actually get a lot more done on the building side. We treat our relationships with our design clientele very respectfully, and do our best to maintain them. You’ll find that the added bonus is you won’t be fighting with the contractor about that awesome little detail that ties the whole room together, he gets it! He’ll also help you look great in front of your client with all his resources at the ready! Trust over years of design and build experience to get a worry free, high quality renovation that is done right and on-budget. 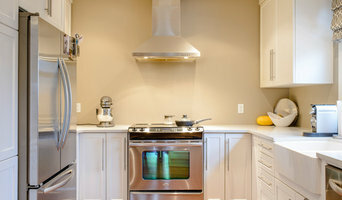 Leenheer Renovations is a family owned custom renovations company. We take pride in creating beautiful, unique, and efficient living spaces that enable our clients to love their home again. Want to update a tired kitchen? Need to finally finish that basement? 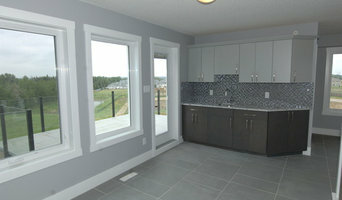 Hope to add rental income with a secondary suite? Found the location of your dreams, but the house on it doesn't match? Through every part of your project, we can offer the knowledge and advice you need, and then make your vision a reality. Contact us to book your free consultation. BPI Inc. specializes in Renovations, Interiors Design and Commercial Tenant Improvemnets. 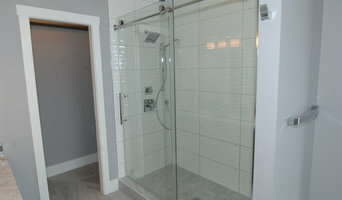 As a Vancouver residential and commercial contractor, we take your project from design build to turn key results!! Check out our Fabebook @bpiinc and LIKE our page BPI Inc. services include the following - framing wood and steel studs - drywall and taping - demolition - painting - finishing carpentry - Interior Design If you are looking for excellent customer service and quailty workmanship for an affordable price!! email bobp@shaw.ca or text us at 780-995-9051 Check out our website bobprestoninc.com FREE ESTIMATES We accept Visa, MasterCard, Debt, cheque or cash! OUR MISSION To supply a team of carpenters, landscapers and sub trades that consistently deliver first class customer service, productivity and outstanding craftsmanship. Building The Future. Restoring The Past. Our services include kitchen and bathroom remodels, basement development and remodel, windows, doors, flooring, fences, decks, finish carpentry and full landscaping services including sod, trees, flower gardens, retaining walls, walkways, hardscapes, ponds and sheds. Fully licensed & insured. Full service interior renovation specialist. Providing all services with 27 years experience. Big or small we do it all. Free estimates.